Topaz is the November birthstone. 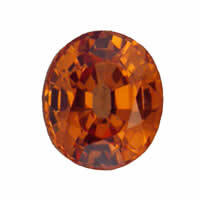 While the birthstone is generally considered to be orange topaz, pure topaz is actually colorless. 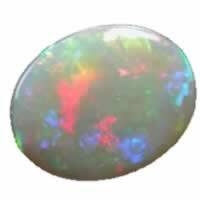 Impurities can cause the gemstone to appear orange, yellow, or golden brown. Blue topaz resembles aquamarine in color and has gained popularity in recent years. Topaz is thought to derive its name from the Topasos Island in the Red Sea, although the gems originally found there are now thought to have been a different yellow gemstone. The topaz is considered a symbol of love and friendship. The golden color of topaz was once seen to be symbolic of the soul and used to ward off sadness, insomnia, and anxiety. Ancient Egyptians believed that topaz was the captured spirit and light of their Sun god, Ra, and therefore could be used for protection. Ancient Romans also associated Topaz with their sun god, Jupiter. Ancient Greeks and Romans believed that Topaz could be used as an amulet against enchantment. They interpreted the many colors of topaz as a sign that it could change color in the presence of poisoned food or drink. Topaz is sometimes described as being able to hold a protective charge like a battery. The small electric charge that can be generated by rubbing the ends of a topaz between the fingers is said to give it "light" that could retain energy for up to 30 hours. This energy has been described as power, protection, thoughts, or love and could be used to recharge the spirit. Similarly in 1907, Dr. William T. Fernie wrote that topaz "possesses a gift of inner radiance which can dispel darkness." Topaz is formed within igneous rock such as granites and rhyolites. It forms at high temperatures from fluorine-rich deposits. The gemstones crystallize in the final stages of the rock's formation. Topaz generally grows in clusters and can be extremely large, sometimes up to 100 pounds. It forms in orthorhombic lattices creating rectangular prisms. Topaz is a silicate mineral made of aluminum, silicon, hydrogen, oxygen, and fluorine. It has the chemical formula Al2SiO4(F,OH)2. Topaz has a molecular weight of 182.25 gm. 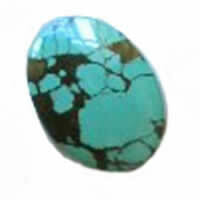 It is a very hard gemstone, ranked an eight on the Mohs scale. Topaz can be found in many places around the world. Topaz is mined in Topaz Mountain of western Utah in the United States. It is also found in many locations in Eastern Europe, Italy, Sweden, Australia, Sri Laka, Pakistan, Nigeria, and Mexico. Very large, clear topaz can be found in parts of Brazil.